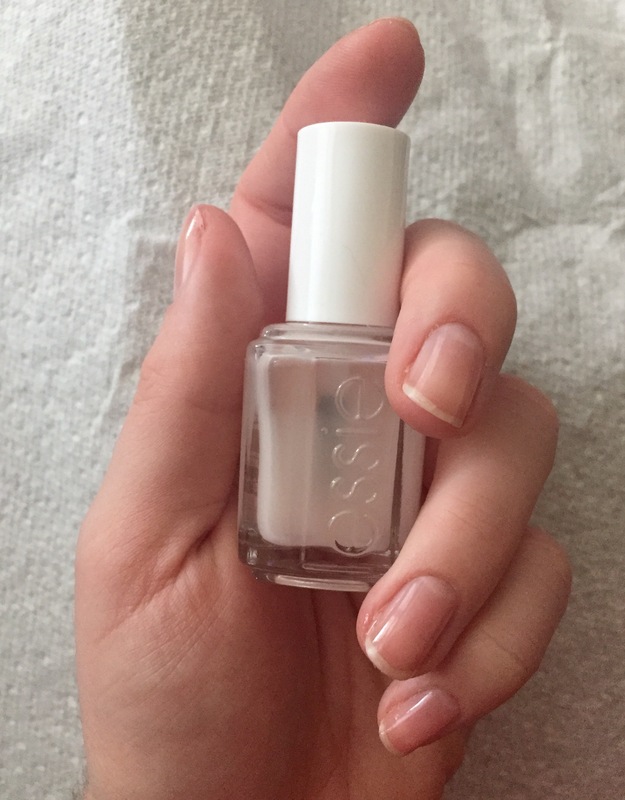 There’s so much I love about Essie nail polishes. 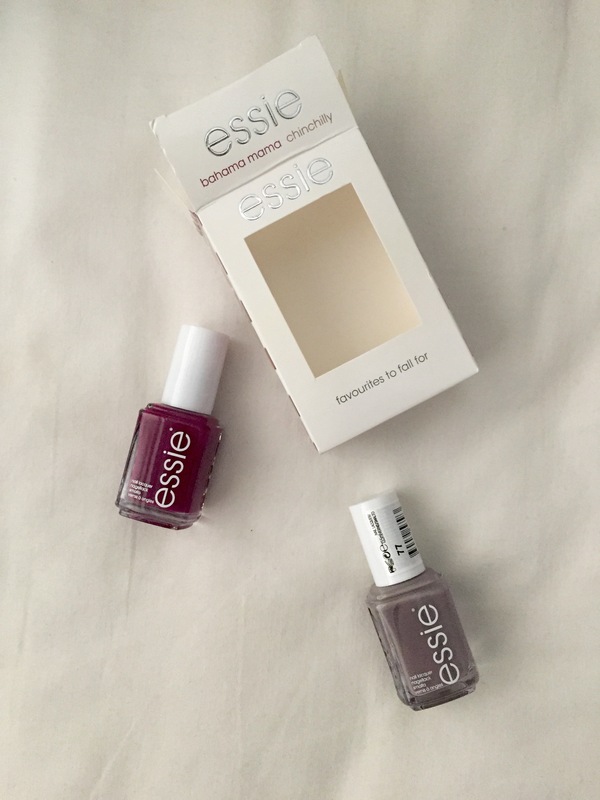 They hold better on my flakey, weak nails than any other brand, they come in a huge variety of colours and, what’s more, Essie bring out seasonal duos which always encourage me to consider shades I wouldn’t usually choose. So, meet Favourites to Fall for! 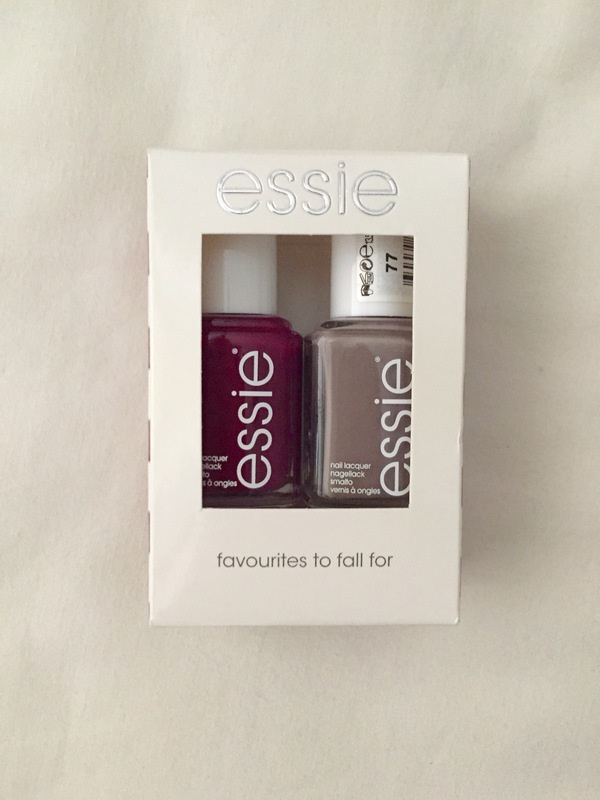 I came across this kit while looking for a deep purple shade to help me to welcome in Autumn, and in the end I went for this little duo, £12.99, featuring the berry purple Bahama Mama, and the steel grey Chinchilly. I never normally would have chosen a grey, as my instinct is always to go bright and beautiful when it comes to my nails. 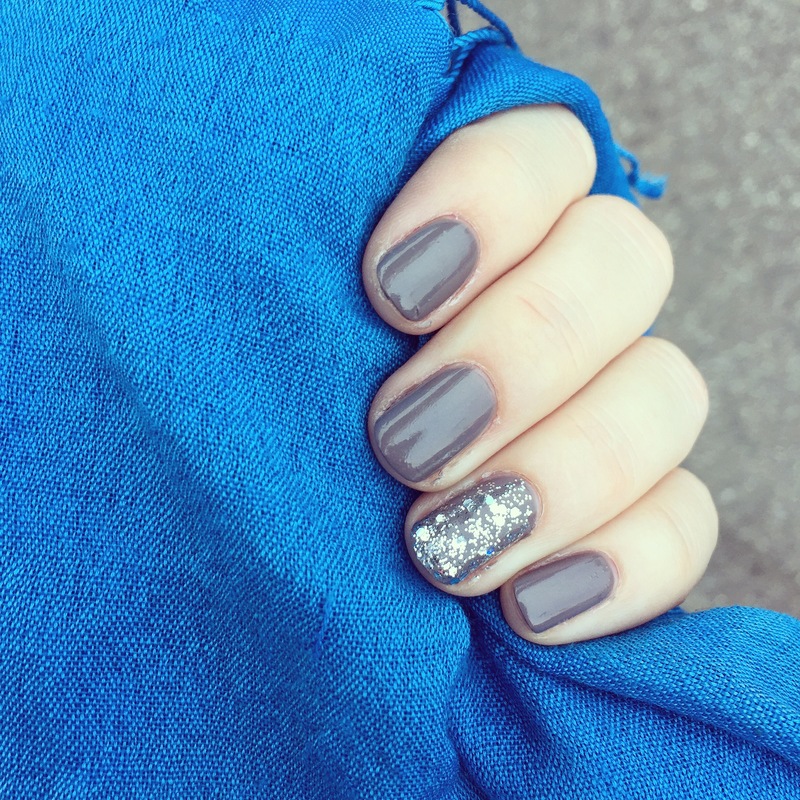 But, grey is most definitely also beautiful on the nails, as I found out! 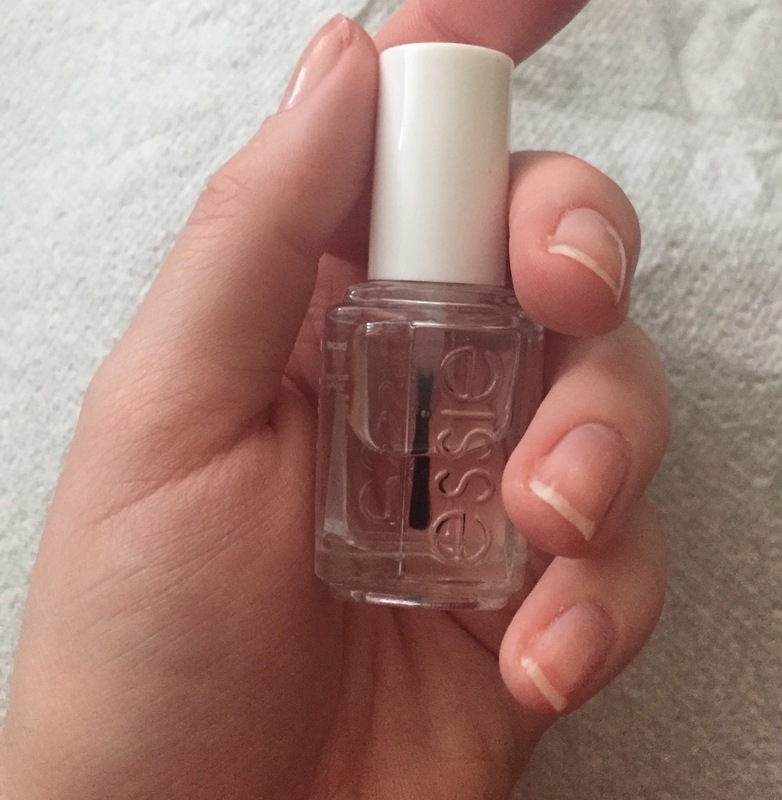 I tried out both colours, but first of all applied the Essie Grow Stronger Base Coat to my clean, filed nails, having softened my cuticles with Phenomenoil by Jessica before pushing them back with an orange stick. Now, enter Bahama Mama stage left. Two coats of this were enough and provided opaque coverage. 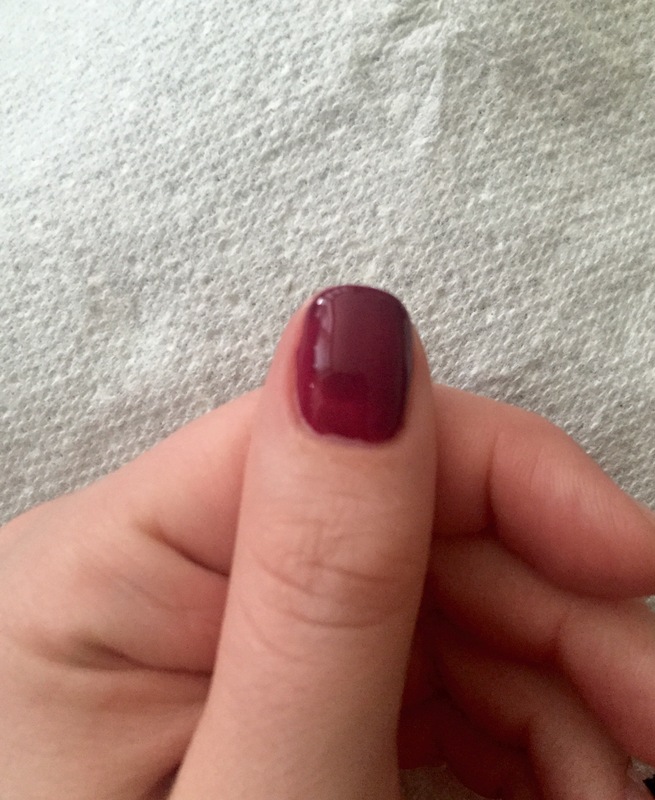 I thought it was a really gorgeous shade, and it’s actually what I have on my nails as we speak. 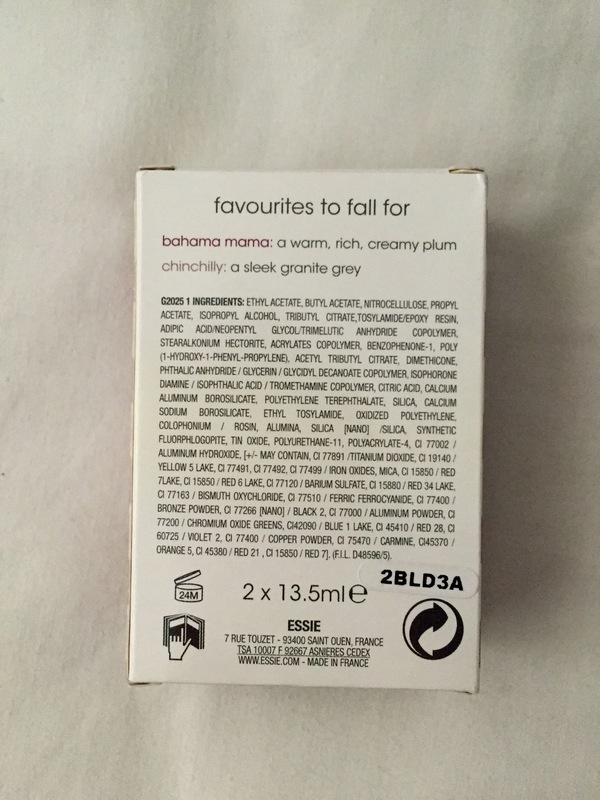 I can see Bahama Mama being my go-to colour for the next few months, or indeed right through to spring before I start cracking out my brighter polish shades again. 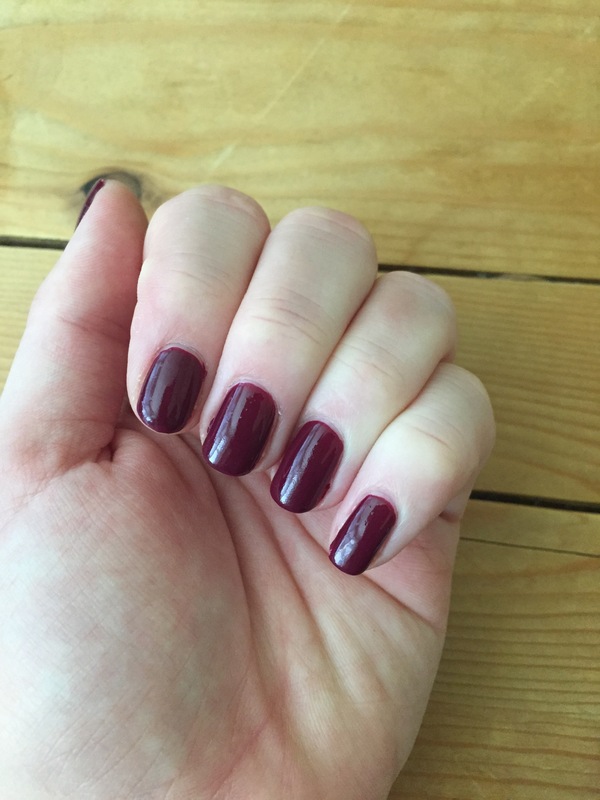 Once it was time to give my nail colour a change, I tried out Chinchilly. 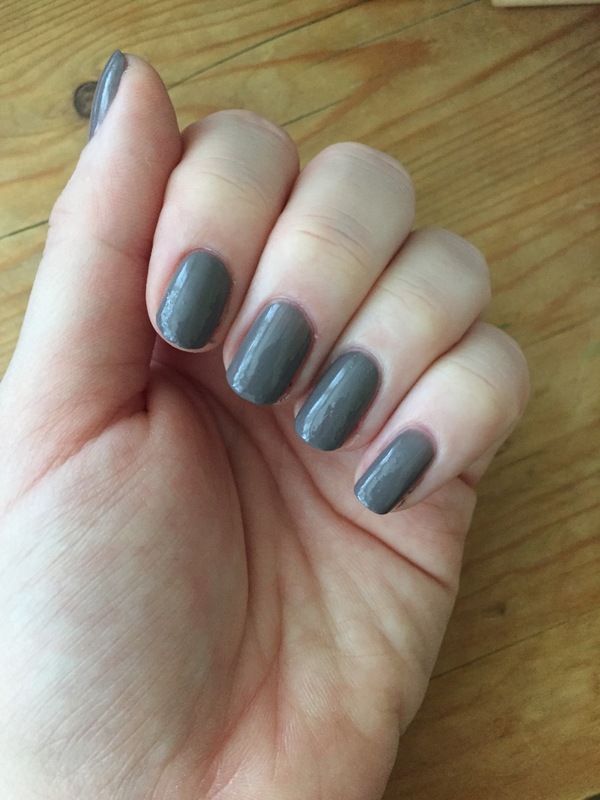 I had definitely heard of this polish before, but while I couldn’t quite get over the novelty of having steel grey at the tips of my fingers, but there was something understated and elegant about this colour. I would definitely apply Chinchilly again, perhaps more towards Christmas/New Year. I’ve got a silver glitter top coat from Rimmel which I think would be beautiful on top of this, either all over or as an ombré effect, and I’m really looking forward to trying that out, too! 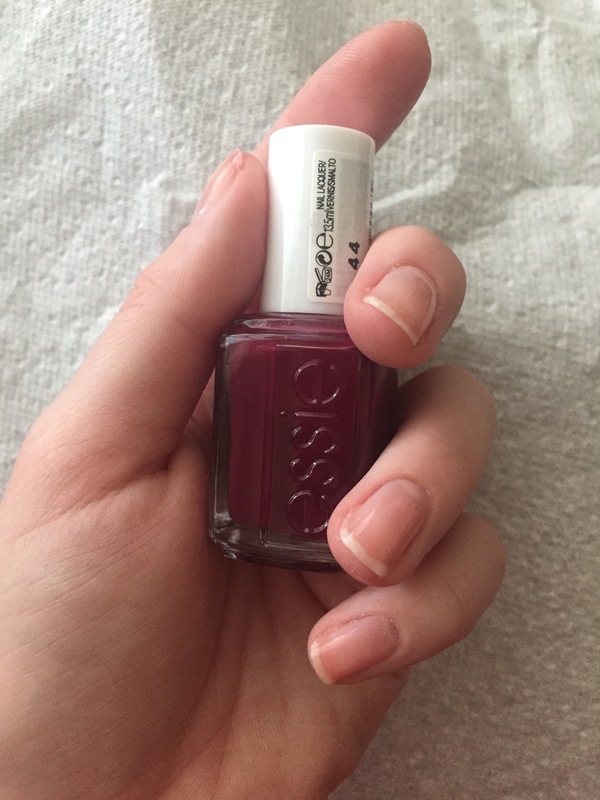 Now, regardless of whether I used Bahama Mama or Chinchilly, my top coat stayed the same, all thanks to this one, No Chips Ahead, by Essie! The shine is lovely, and I really do find that it stops any premature chips. 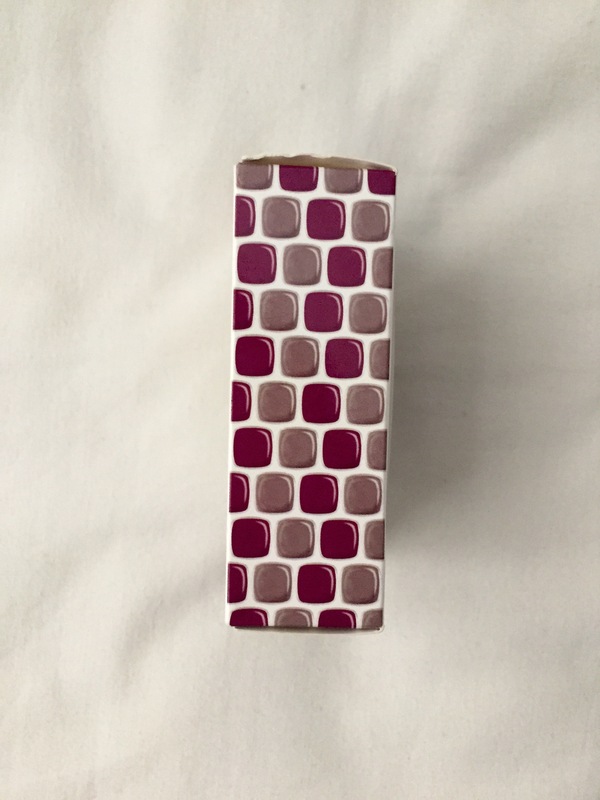 So, this was my experience with this chic, autumnal nail duo, which I would absolutely recommend. 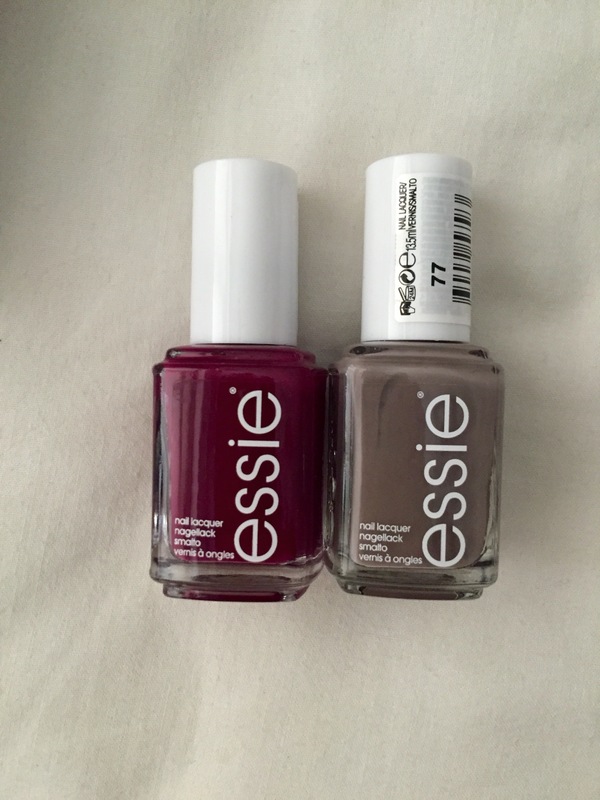 Having tried them here, I would, and most probably will, buy them again when they run out, even though Essie polishes aren’t exactly cheap. 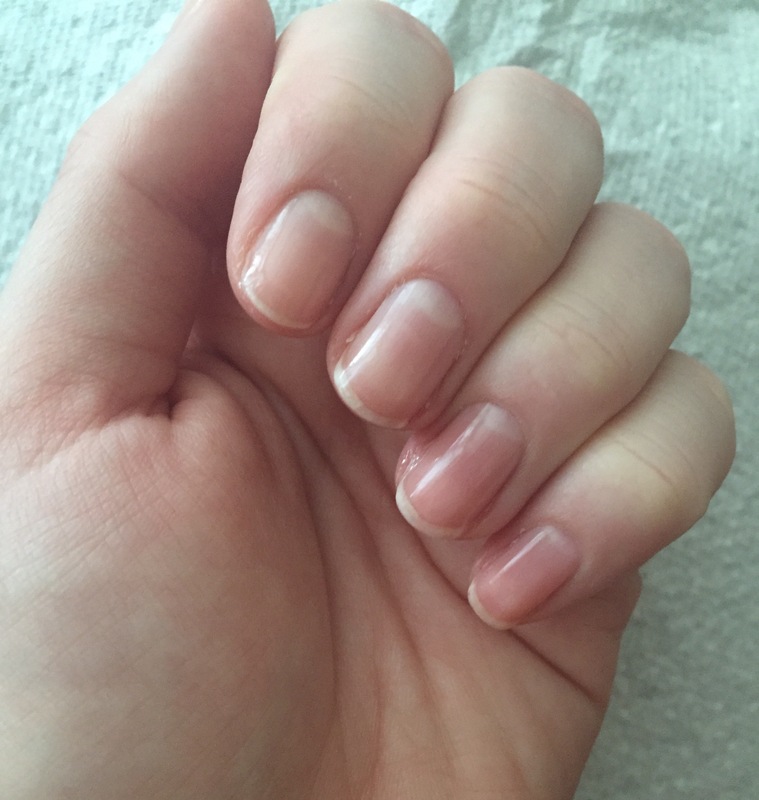 However, I’ve almost always found that you get what you pay for when it comes to nail care, and the combination of the wide range of colours with the strength and strong pigmentation of the polishes make them a worthwhile investment. Edit- I have since tried out Chinchilly again with a glittery coat on the ring finger on each hand. It came out beautifully!